Industrial training institute in Maharashtra are ITI institute which gives technical training and focused on practical training. All ITI’s work under Directorate General of Employment & Training, Ministry of Labour & Employment, Government of India. Industrial training institute in Maharashtra arrange centralized admission, for details check ITI online admission in Maharashtra for August 2017. Directorate of vocational educational and training, Government of Maharashtra work under DGET .DVET offers various technical courses based on Electrical, Electronics, Automobile, chemical, fabrication and IT sector. DVET Maharashtra divided all industrial training institute in Maharashtra in 6 region. Each region consist of more than 60 government industrial training institute. Details structure of DVET is shown below. 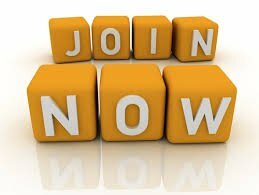 ITI admission 2016 start to apply for Admission in ITI click here . Here we give some major industrial training institute in Maharashtra region with their category year of establishment and address. After passing 10th standard exam any one is eligible for Govt ITI Admission. ”Make it India” ITI base is to create skilled manpower to industries. Industrial training institute provide all basic technical specification to student. ITI Training provide practical based industrial training courses. Time duration of course is 1 to 3 years depending upon selection of trade. Online admission of Industrial training institute in Maharashtra will started after declaration of 10th result. After completion of industrial training courses candidate is eligible to apply All India trade test, so candidate may get certificate from National Council for Vocational training and award is NATIONAL TRADE CERTIFICATE. Yet not complete ……. Government of Maharashtra started both private and government ITI’s. At least one ITI for each Taluka level. 417 Government ITI available in Maharashtra. Most of industrial training institute focused on technical trade like electrician, turner, fitter, plumber, electronics mechanic, welder, fabrication, motor mechanic and instrument mechanic. Due to latest technology and growth in IT sector industrial training institute in Maharashtra introduce some mobile technology, SQL programing trade like Computer operator programing assistant and Information technology and system maintains. Digital Locker by government of Maharashtra. People of engineering trade can go for further studies like diploma. 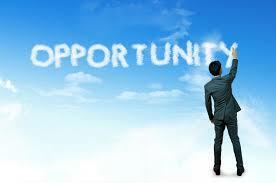 ITI pass out persons can set up their own business, shops depending upon passing trade. 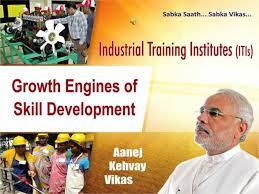 Also industrial training institute pass candidates can apply for jobs in various sector. Industrial training institute pass out candidate have lots of opportunities in navy, army, railways and also BSF, Air force and MSCEB. Prime Minister Narendra Modi send 1 Lakhs SMS to industrial training institute candidate .Prime minister says that ITI’s are a way of creating trained manpower to success its ‘Make in India’ ambition. industrial training institute provide skill and talent get part of success join Industrial training institute in Maharashtra.